Briware Solutions Inc. is a Dynamics GP VAR based in the Greater Toronto Area that focuses on helping growing companies get the most out of their business systems investments. Known for their knowledge and down-to-earth approach, the Briware Solutions team focuses on building the most efficient business processes for your business using Dynamics GP as the engine. Our ability to span many industries comes from our strong focus on working with our customers to understand their unique needs and then implementing Dynamics GP in the most effective way to meet those needs. 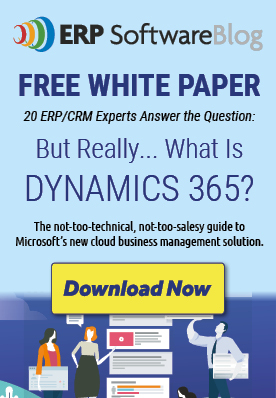 If you are considering Microsoft Dynamics GP as your business system, or you feel like you could be getting more from your existing Microsoft Dynamics GP implementation, let’s talk about it. Articles by Briware Solutions Inc.